As we begin the 20th year of our Muse and Views Book Club, we met at Colette’s to discuss Still Life by Louise Penny. Attending were Jane, Janet, Shirley, Colette and our newest member, Sharon (Welcome to Muse and Views, Sharon! ), plus Michèle and Linda who Skyped in to join the discussion. In keeping with the theme of the book, Colette served an array of Québec cheeses, stuffed mushrooms, and croissants followed by home-made mini lemon tarts, fit for any boulangerie. The author, Louise Penny, came to writing later in life, having previously been a journalist with the Canadian Broadcasting Corporation. Her husband, Michael, who she describes as ‘kindly, thoughtful, generous, a man of courage and integrity, who both loved and accepted love’, was her inspiration for Armand Gamache. She lives outside a small village south of Montréal, quite close to the American border, and has used the Eastern Townships for the setting of her imagined village of Three Pines and the Inspector Gamache series. 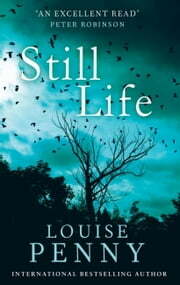 Still Life is Louise Penny’s debut novel and has garnered a number of awards; her subsequent books continue to win accolades. In 2013, she was made a Member of the Order of Canada "for her contributions to Canadian culture as an author shining a spotlight on the Eastern Townships of Quebec”. She has been compared to Agatha Christie in her writing style which features many hallmarks of the British whodunit genre, including murders by unconventional means, bucolic villages, large casts of suspects, red herrings, and a dramatic disclosure of the murderer in the last few pages of the book. Although all felt that the book was an ‘easy read’, our reviews were mixed. The devices and red herrings used in the book seemed too obvious. Some felt that character development was weak however one of the members, who had read the entire series, explained that the characters do fully develop over the series. The description of the very rural village of Three Pines was well done as was most instances of family dynamics. Meanwhile, the conversation Inspector Gamache had with Ben about the dwindling rights of Anglophones in Québec was off-putting and definitely one-sided. The portrayal of Gabri and Olivier, the gay owners of the bistro and bed and breakfast, was felt to be rudely stereotypical. This month’s book discussion was as lively as usual and reading a Canadian author is never a bad thing.